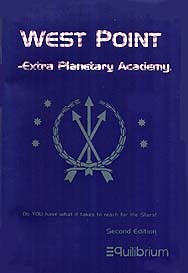 West Point Space Cadets of the Far Future. Play in a familiar environment with an intelligent twist. Explore the human condition in a new kind of role-playing game. Probably the most interesting dilemmas you can role-play. Attend WP:EPA if you have what it takes!